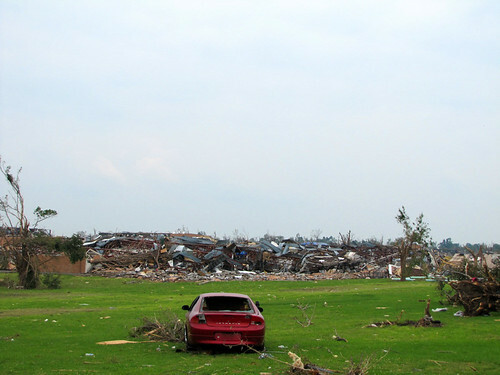 On a pleasant Sunday evening, May 22, 2011, an EF-5 tornado suddenly raged through densely-populated south Joplin. It destroyed almost everything in its path for 13.8 miles in distance and up to a mile in width. The tornado smashed down in southwest Joplin, wrecking residential areas, Cunningham Park, schools, medical offices, and a major hospital complex, St. John’s. It headed east, obliterating untold acres of late nineteenth and early twentieth century houses. 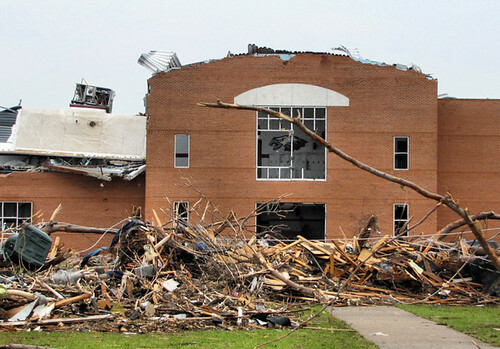 The storm’s wrath intensified as it forged east, razing businesses along Main Street, more neighborhoods, and Joplin High School. It wiped out much of the lifeblood of Joplin’s economy, the commercial strip on Range Line Road, then rampaged on, demolishing housing, banks, industrial buildings, and more schools and churches. 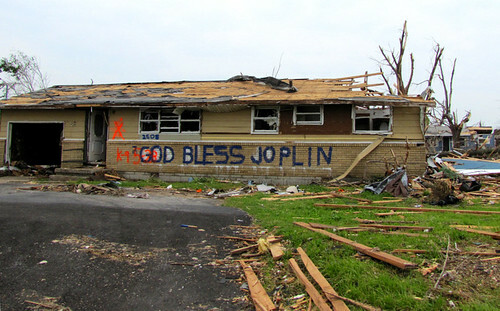 It finally dissipated east of Joplin, after destroying or damaging an estimated 8,000 homes and businesses. At the time of this writing, authorities have confirmed 138 fatalities, a number which continues to rise. More than 1,150 people sustained injuries. The Joplin tornado, the deadliest since modern record keeping began in 1950, ranks eighth among the deadliest tornadoes in U.S. history. We are in shock. We drive familiar streets yet cannot even recognize where we are. The cruel landscape of endless rubble and shredded trees reminds us of shattered lives and endless grief. We have lost so much, and we are hurting on many levels. But our spirit is strong, as evidenced by the person who spray-painted “Down not out” on the shards of his former home. Leslie Simpson, an expert on Joplin history and architecture, is the director of the Post Memorial Art Reference Library, located within the Joplin Public Library. She is the author of From Lincoln Logs to Lego Blocks: How Joplin Was Built, Now and Then and Again: Joplin Historic Architecture. 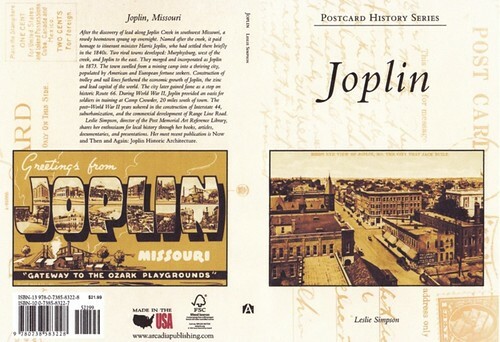 and the soon to be released, Joplin: A Postcard History.